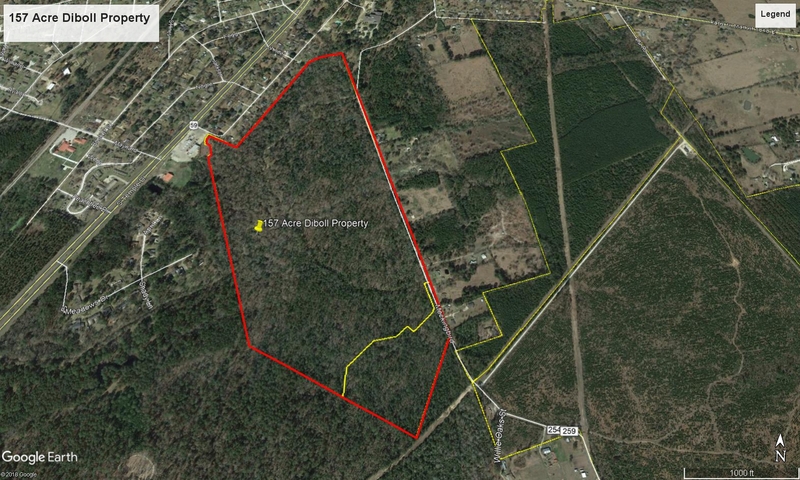 Approximately 157 acres +/- property with the majority lying within Diboll City limits. Beautiful older natural pine and hardwood timber. Frontage to Mocking Bird Lane. Diversify your investment portfolio with transitional timberland. Nice topography and good hunting. The proposed TXDOT HWY 69 Loop will cross just south of this property. Potential future commercial property. Showing by appointment only. Schedule your private tour today. Final acreage will be determined by new metes and bounds survey. From Diboll intersection of HWY 59 S and FM 1818, travel east on FM 1818 for approximately .4 miles to Mocking Bird Lane. Turn right then veer right on Mocking Bird Lane and travel for approximately .5 miles to property. Look for IronGate Land Company For Sale sign on right.